Inbound Marketing Agency Hertfordshire | Cariad Marketing Ltd.
Inbound Marketing attracts highly targeted quality traffic to your website. It’s marketing activity that potential customers actively seek out or want to interact with and is typically done through SEO, blogging and Social Media. Traditionally, marketers would have employed cold calling, cold emails and untargeted ads to attract potential customers but these days it is far more beneficial to entice customers to your website by engaging with them through interesting content. Basically, Inbound Marketing is all about creating marketing material that customers actually want to read! The key thing to successful Inbound Marketing is analysing your target market at a granular level. You therefore need to know exactly who your ideal customer is and understand what processes they go through when choosing your products or services. It is vital when marketing to these targeted individuals that your content is educational and engaging– it shouldn’t be about you and your business; it should be about offering them advice and useful information. That said it doesn’t matter how relevant and engaging your copy is – if you’re not getting it in front of the right people at the right time you’re wasting your efforts. Successful Inbound Marketing is therefore about knowing your customer and targeting them effectively via your website pages, blogs, social media, landing pages, calls-to-action and marketing emails. Why does your business need Inbound Marketing? Quality marketing produces quality leads, prospects and ultimately customers. Today’s consumers are much more savvy online than previous generations so to make sure you are appealing to the right people you need to ensure you are putting interesting, relevant and timely content in front of those who want (and need) it. Of course once you have attracted the right visitors to your website it’s important you continue to engage and market to them thereby developing a mutually beneficial relationship. What does good Inbound Marketing look like? Can’t I do it myself? Do I really need an Inbound Marketing agency? In theory yes, you could do it yourself. If you have the time and expertise it is possible to manage on your own and not employ the services of an Inbound Marketing company. However, the different elements of Inbound Marketing such as SEO, blogging and marketing emails require a certain level of specialism and bringing them all together to build a successful, integrated campaign is quite an undertaking and one probably best done by a specialist Inbound Marketing company. By using a team of professional, qualified Digital Marketing experts you can have an entire Digital Marketing team with all its expertise and experience at your disposal. And with such a myriad of Digital Marketing services available these days it is important to know what is going to work best for your business. At Cariad we pride ourselves on building strong, personal relationships with our clients so we can really understand their businesses and can effectively and affordably promote them online to their target markets. How can an Inbound Marketing agency like Cariad Marketing help my business? 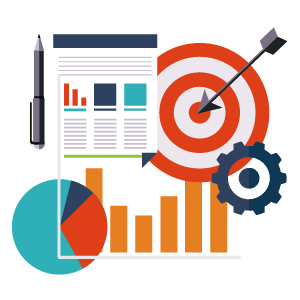 Based on your business objectives we’ll create a bespoke, fixed-price Inbound Marketing package. It’s your call as to whether you want us to focus on your entire Inbound Marketing campaign or just a specific area for example SEO, Social Media or Email Marketing. Whatever you choose our dedicated team will utilise its vast experience of Digital Marketing services to optimise your website’s performance leaving you free to focus on your own areas of expertise.